Earlier this week we asked you to share your favorite diagnostic tool. Below we’ve rounded up the top five answers, and now we’re back to highlight the most popular computer diagnostic tools among Lifehacker readers. 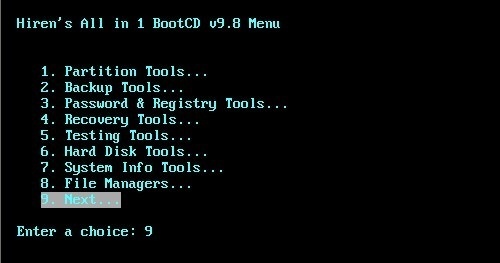 Hiren’s BootCD is an impressive toolkit rolled into one packed DOS-based LiveCD. Sporting over a hundred separate diagnostic and repair tools, Hiren’s BootCD can help you do everything from diagnose a memory problem to clone a disk to speed test your video card. If you can’t find out what is wrong with your computer after running through all the tools on Hiren’s BootCD the diagnostic answer you may end up at is “Time to buy a new computer.” A note about Hiren’s BootCD: many of the diagnostic tools gathered on the disc are abandonware or older versions of still produced commercial software. The legal status of Hiren’s BootCD is murky so Hiren doesn’t directly host the disc image himself. You’ll need to search Google to find locations like here and here where the disc is hosted. If things haven’t gotten bad enough that you’re forced to take refuge with a LiveCD, SIW is a Windows-based diagnostic tool that can help you get to the bottom of things. SIW is incredibly detailed in its analysis, next to nothing is left uncatalogued from the timings of your memory modules to the DLL files loaded to what applications you have set to autorun at startup. Even if you’re not currently experiencing any computer issues SIW gives you a really interesting peek inside your computer. Bill Detwiler: No matter how technically proficient you are, even the sharpest IT consultant or support pro is going to make a mistake every now and then. Most mistakes are recoverable, but you definitely want to avoid ones that could lose you clients and customers. I’m Bill Detwiler, and on this episode of TR Dojo, I’ll go over five of the worst mistakes IT pros can make in the field and give you some advice on how to avoid them. The first mistake you should avoid is rushing blindly into an upgrade. As an IT pro, you’ve probably handled lots of upgrades, but no matter how good your track record has been, the unforeseen consequence of a software change is one of the most common culprits of client dissatisfaction. It’s the nature of complicated systems and software that one small change can break some crucial feature or functionality that your users depend on. How many times have you upgraded Windows XP to SP3 (including IE8) only to find out after the fact that something in the upgrade has broken a feature your users need to do their job? Before performing any upgrade, you must make sure that all the client’s critical applications will work with the new software. Reference Desk is good for students or anyone who needs to research information. It installs: DeeperWeb (navigate through Google search results using tag-cloud technique), SimilarWeb (find related sites), Converter (unit, time zone, and currency converter), Merriam-Webster (dictionary), Wired-Marker (highlighter), ScrapBook (save and organize sites), Reframe It (connect and share your thoughts online), and Read It Later (save sites for later reading). When you’re dealing with a system that won’t boot, you need a robust and dependable recovery tool. Here are a few Linux tools that might save the day. Our consulting firm has had a rash of problems recently that required the help of Linux rescue tools. From corrupt partition tables to severely infected machines, Linux tools come in handy when the host system won’t boot. But because of the plethora of tools available, it’s sometimes tough to sift through the cruft and find the ones that are usable. So I decided to highlight some of the better tools. I hope one or two of them will find their way to your toolkit. Few things are more infamous in the Windows world than the dreaded Blue Screen of Death. They can strike without warning. And, troubleshooting them is often a combination of knowledge, skill, and lots of trial and error. 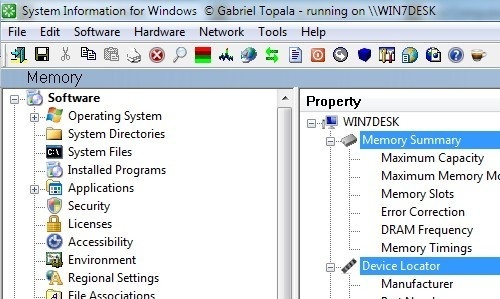 During this TR Dojo episode, I show you a slightly more methodical blue screen troubleshooting approach using Microsoft’s own WinDbg debugger tool.